Marketing is about connecting and building relationships. And connection and relationships happen between real people. Your website visitor is real but are you being real on your website? Or do you sound like every other therapist? What do clients need to see on your FAQ page? You’ve been losing sleep for months and you know you have to grasp the nettle and talk to someone about how you feel, but you’ve never been to counselling before and don’t really know what to expect. You find a counsellor that feels right for you and that specialises in the issues you're currently experiencing. Do you remember the first time you had counselling? I do. I was pretty damned terrified, suspicious of the process and felt very vulnerable. I had no idea what to expect or what would be expected of me. I even thought it would be taped - I don’t know where that idea sprang from, but it was there. 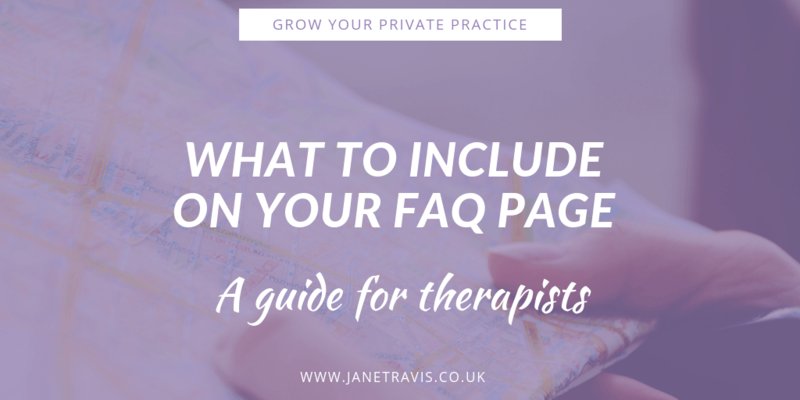 So anything we can do to let potential clients know what to expect is good, and one way of doing that is an FAQ (Frequently Asked Questions) page on your website. 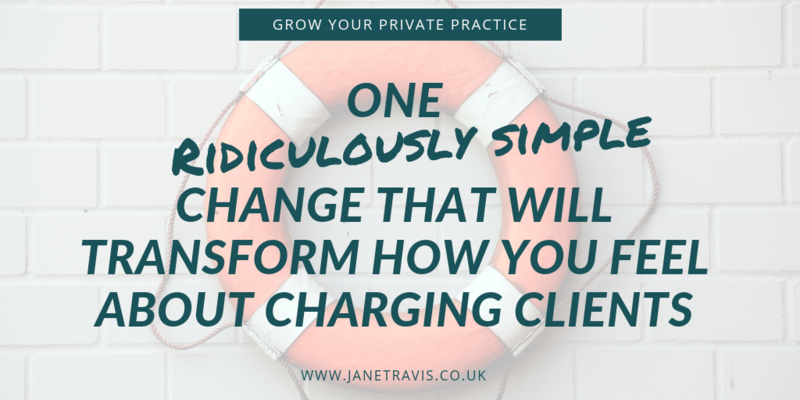 Are you a thERAPIST that doesn't feel comfortable charging clients? There's a lot of us about! Frankly, you'd prefer to never have to deal with the exchange of cash, but you started a private practice due to the lack of salaried positions and that means charging clients. When I first started out I struggled with this too - it was something I often talked about in supervision. 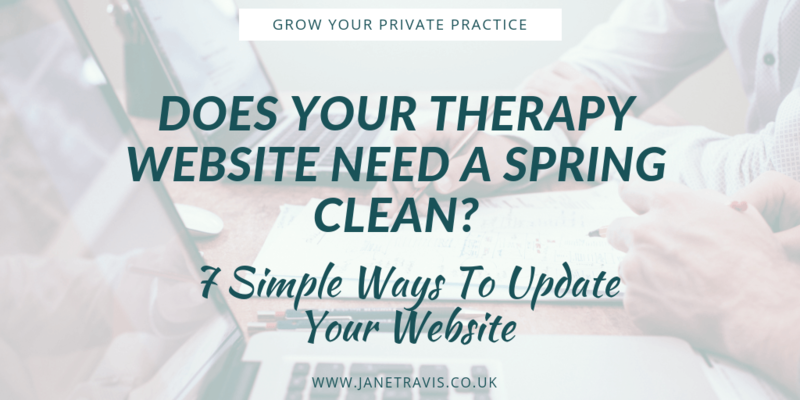 When did you last update your therapy website? Your website is your shop window: It gives your potential clients a first impression of you and the services you offer. Take a look at yours - could it do with a little TLC?